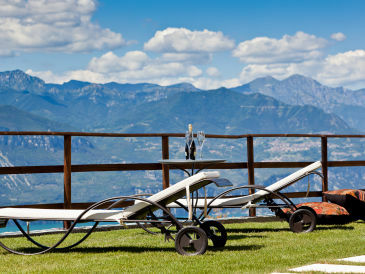 Choose from 695 holiday houses, B&B's and apartments at Lake Garda. 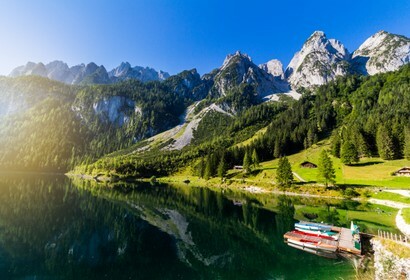 Visit Italy's largest lake at the border of Lombardy, Trentino and Veneto! 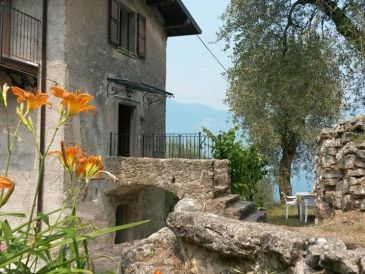 Hier finden Sie 3 Last-Minute-Angebote sowie 4 Sonderangebote für holiday houses, B&B's and apartments at Lake Garda. 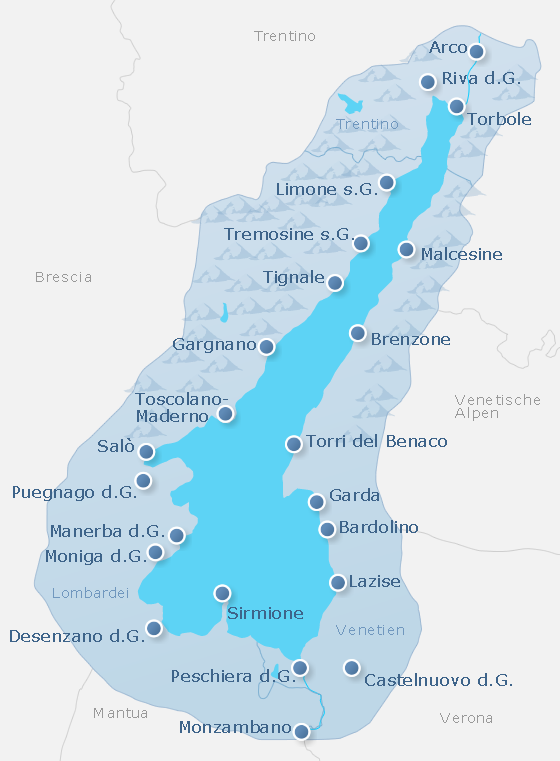 Lake Garda connects three Italian regions, Veneto, Lombardy and Trentino, and two natural areas, the Alps and the Po Valley. More diversity is nowhere to be found! Those who spend their holidays in Riva del Garda on the north shore can enjoy an impressive mountain scenery. The reliable wind blowing makes the northern part of Lake Garda one of the best areas for surfers and sailors in all of Europe. On the way to the south there are always beautiful places to be admired on Lake Garda. 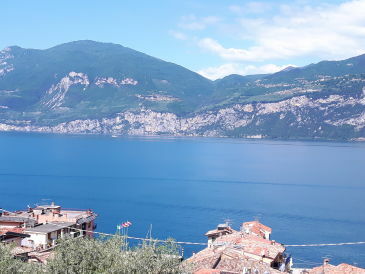 On the west side of the Lombardy, Tremosine and Salò can be recommended, on the eastern side of the Venetian coast, many holidaymakers choose Malcesine, the pearl of Lake Garda. 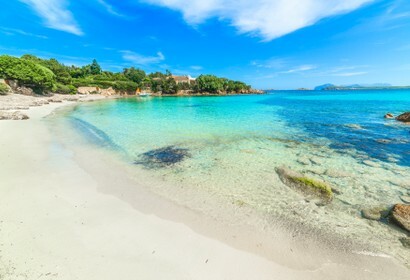 In the south, Manerba and Peschiera del Garda are popular destinations for holidaymakers, even to Verona with the famous amphitheater it is only a few kilometers. Lake Garda is not only the largest lake in Italy, it is also the most beautiful. Very close to Lake Garda are the well-known vineyards Lugana, Bardolino, Soave and Valpolicella. 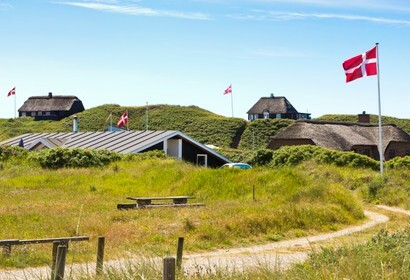 The climate is sub-Mediterranean due to the location, which promises hot summers as well as mild and low-rainy winters. 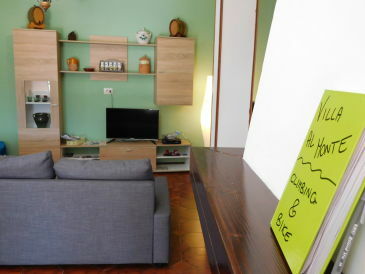 The most popular are, of course, apartments and holiday homes with a direct view of Lake Garda. 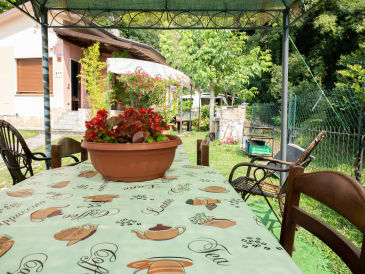 Many of the accommodations have a balcony or terrace. 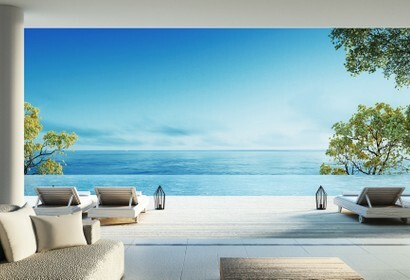 The pool, fireplace and barbecue are often available, so that a relaxing holiday nothing more stands in the way. 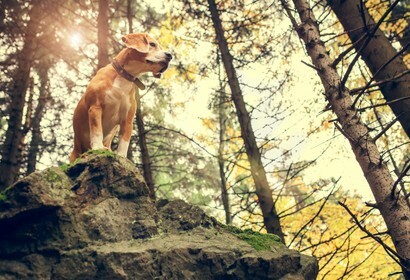 Enjoy the holiday with the family or friends, take day trips and explore the wonderful surroundings. The Lake Garda has a lot to offer: Whether active holiday, wellness & recreation or sightseeing tour - for every taste is the right thing.